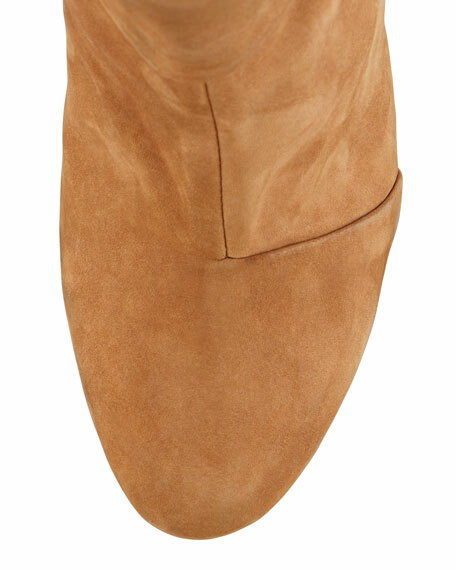 From Rag & Bone, the Newbury ankle boot delivers well-crafted, casual luxury in camel-colored nubuck leather with a sturdy wooden heel. Raised stitching at toe and ankle. Back zip with logo pull. 3 1/2" wooden stacked heel. Ankle-high shaft; 4 1/2" overall boot height.